appeared at the congregation wearing a wedding dress. The lady, wearing a full white outfit, cover and gloves, strolled down the walkway and moved toward the couple remaining at the altar. 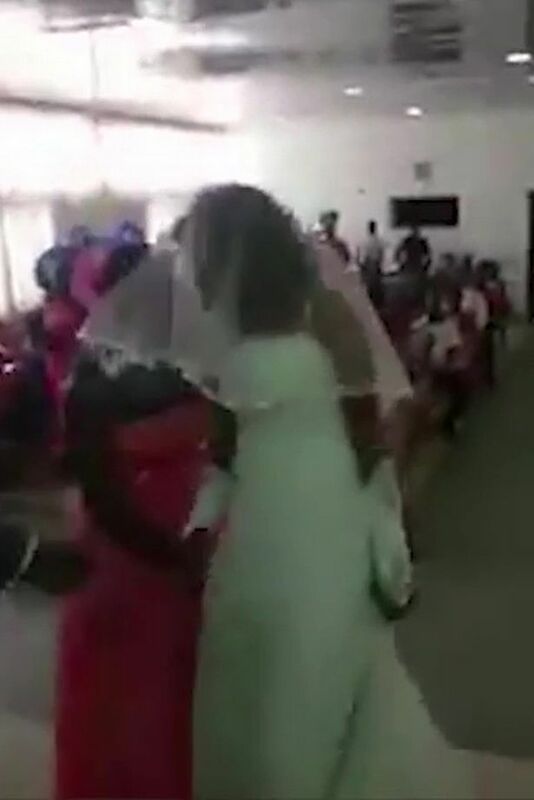 A video shared on the social media demonstrates her yelling at the groom, who is frantically attempting to quiet her down.